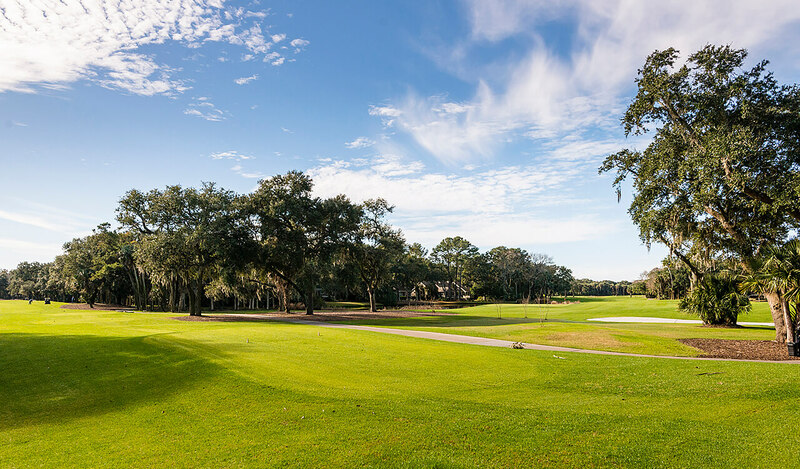 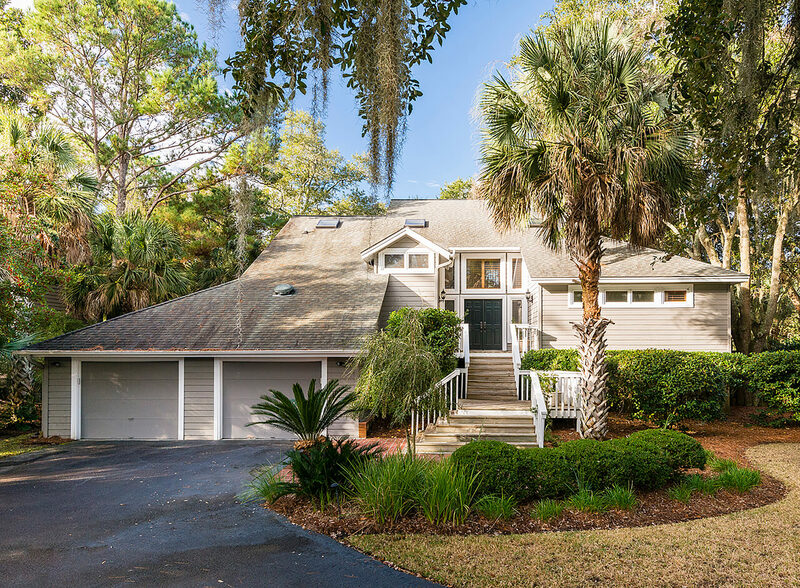 The recently renovated home at 120 Turnberry Drive, a five-minute bicycle ride through Kiawah’s picturesque Allee of Oaks to the Island’s immaculate beach, enjoys views of the Jack Nicklaus-designed Turtle Point golf course’s no. 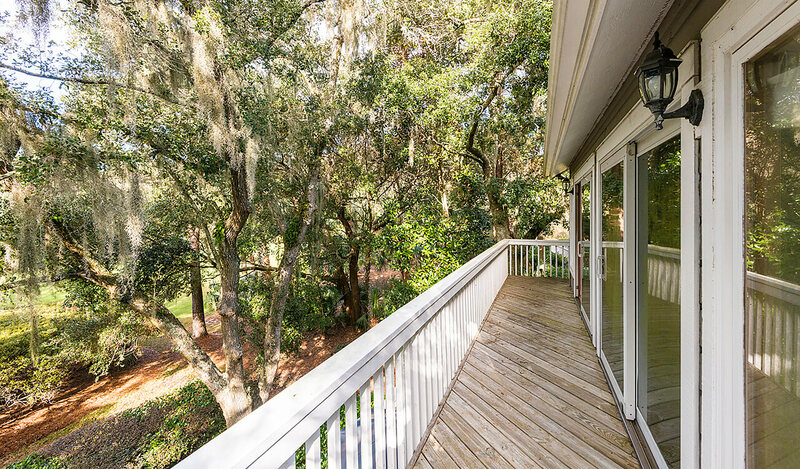 2 fairway from two tiers of back porches. 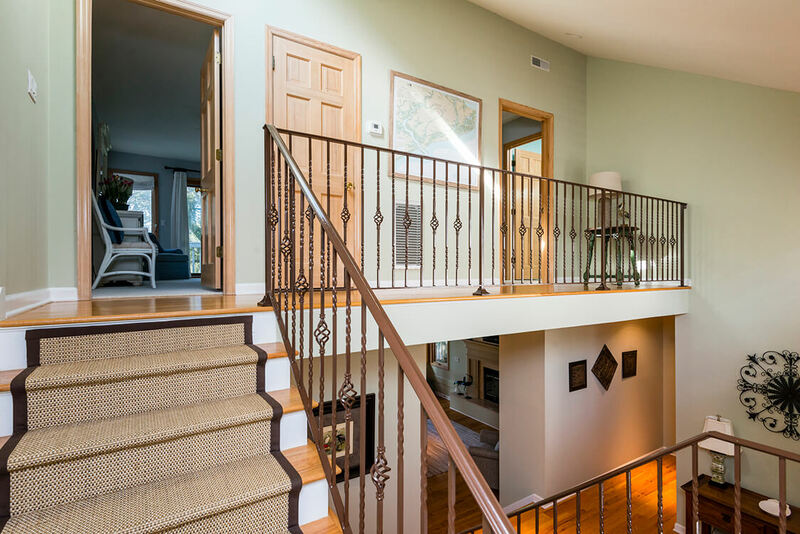 Inside the home’s double doors is a two-story foyer leading to an open floor plan. 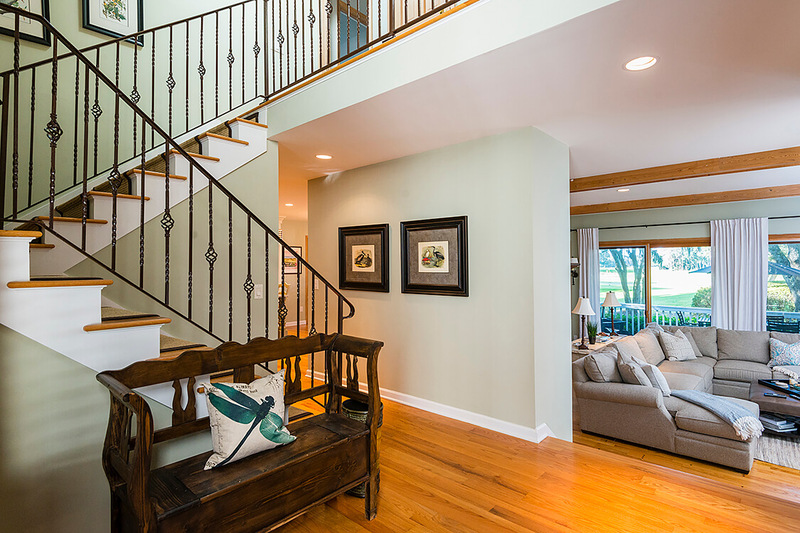 A staircase with an elegant sisal runner rises to the left, and hardwood flooring stretches throughout the first level. 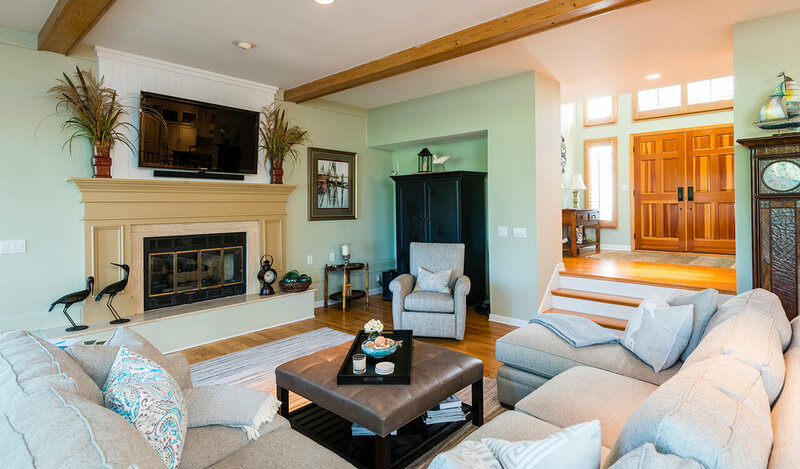 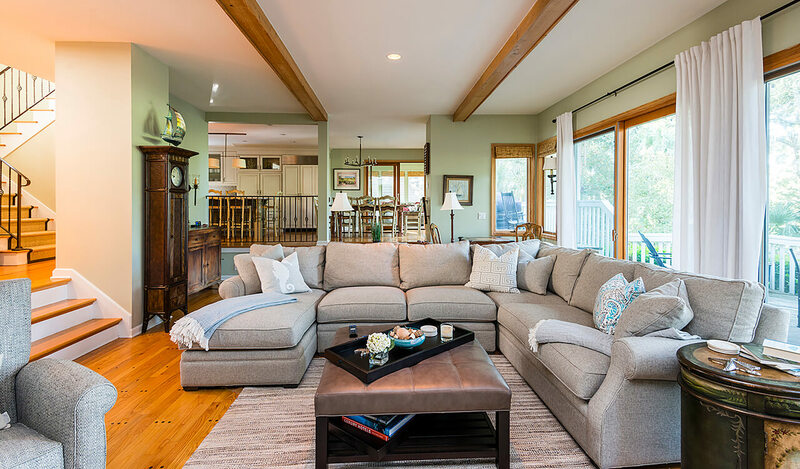 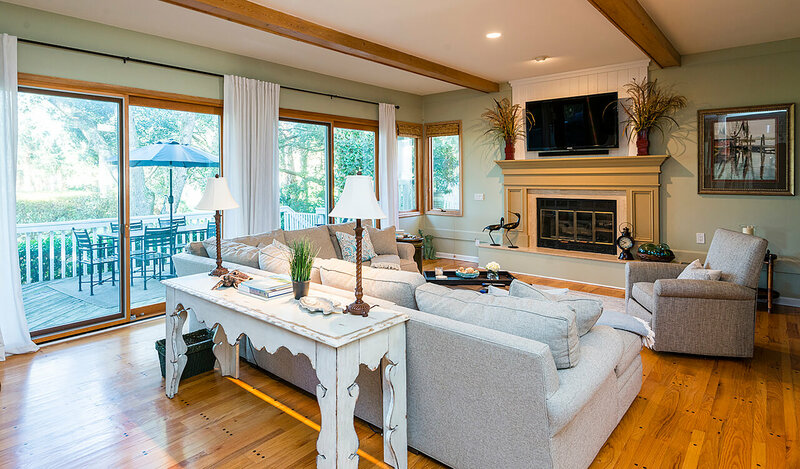 Wooden ceiling beams, a fireplace with a classic mantel, and a wall of glass doors framing the verdant golf views accent a sunken living room with comfortable seating for eight. 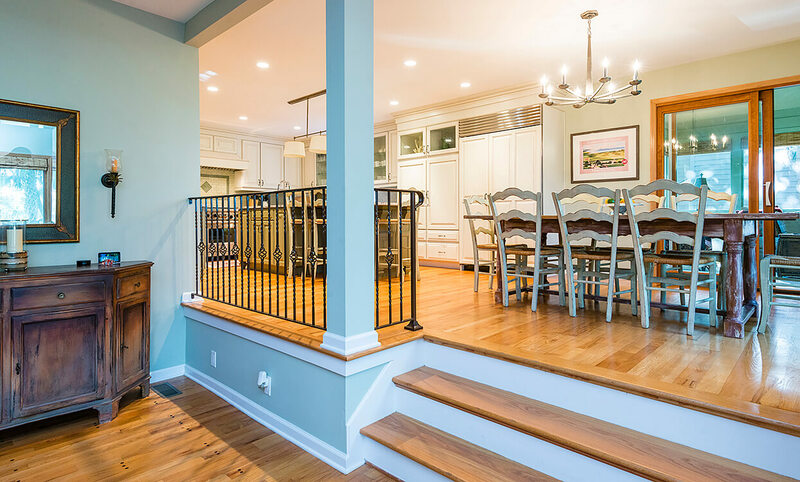 Two stairs lead up into the open dining room and kitchen. 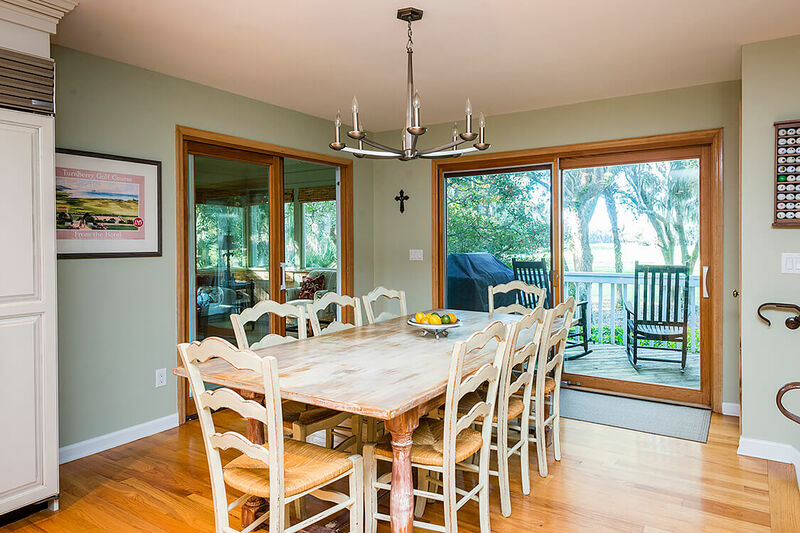 There’s seating for eight around the table, framed on two sides by sets of glass doors, one opening to the back porch with outdoor grill and al fresco dining set and the other leading to a sunroom with vaulted ceiling. 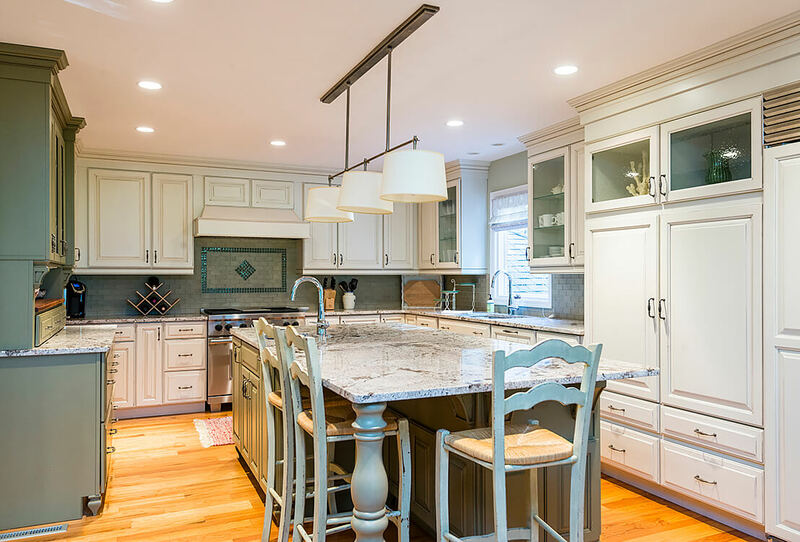 A large kitchen island offers additional seating for three as well as a prep sink and undercounter niche for the stainless-steel Bosch® microwave. 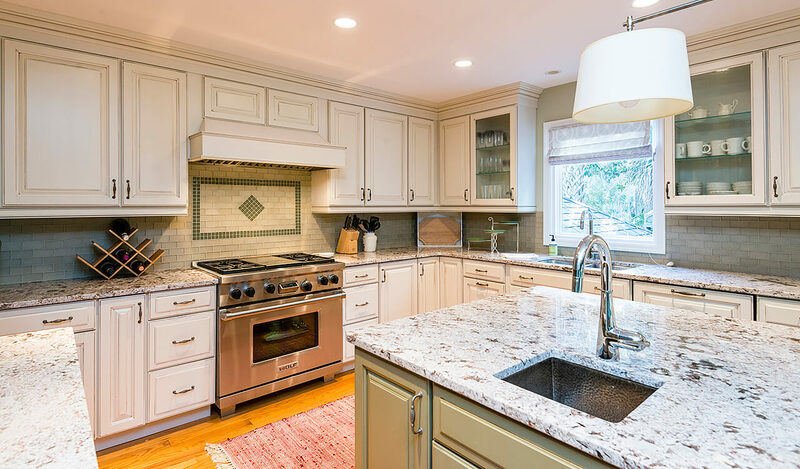 Pale, beautifully veined granite countertops, cream-colored Shaker cabinetry, a custom subway-tile backsplash, and a sunny window framing lush views over the sink complement the professional-grade appliances in the updated kitchen. 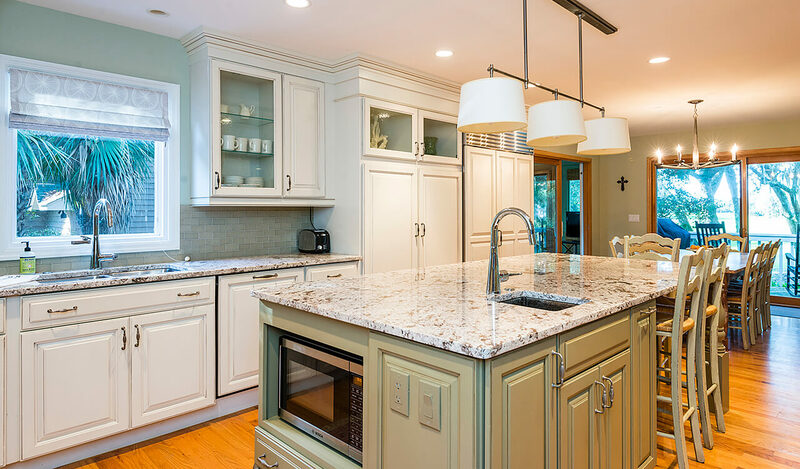 The Sub-Zero® refrigerator and Bosch® dishwasher are paneled to match the cabinetry, while the Wolf® gas cooktop and oven are stainless steel. 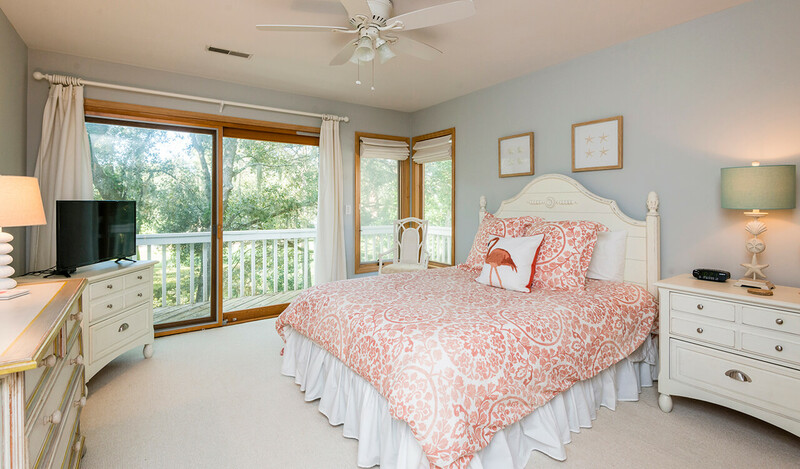 Take a shortcut across the sunny back porch extending the width of the home to visit the master suite with tray ceiling and walk-in closet in the spacious bedroom and his-and-hers sinks set into granite countertops in the master bath. 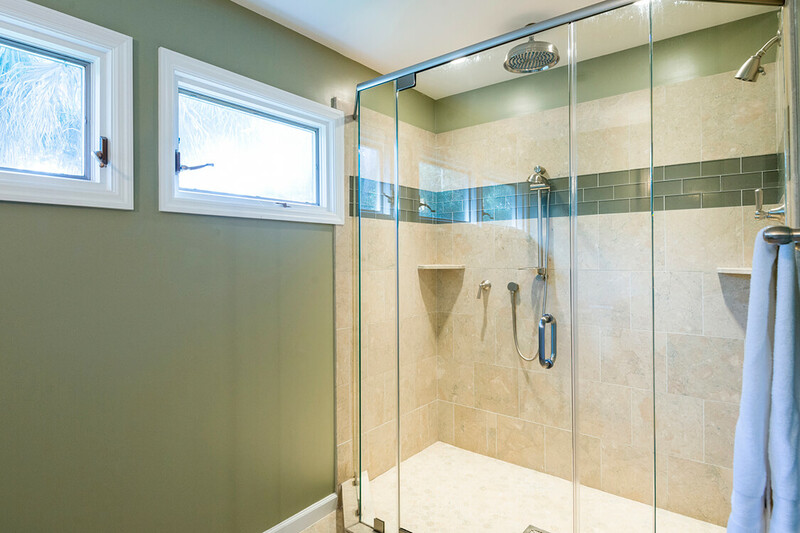 Windows high up on the wall for privacy invite natural light inside beside the expansive walk-in shower with large ceiling-mounted rainshower and handheld showerhead. 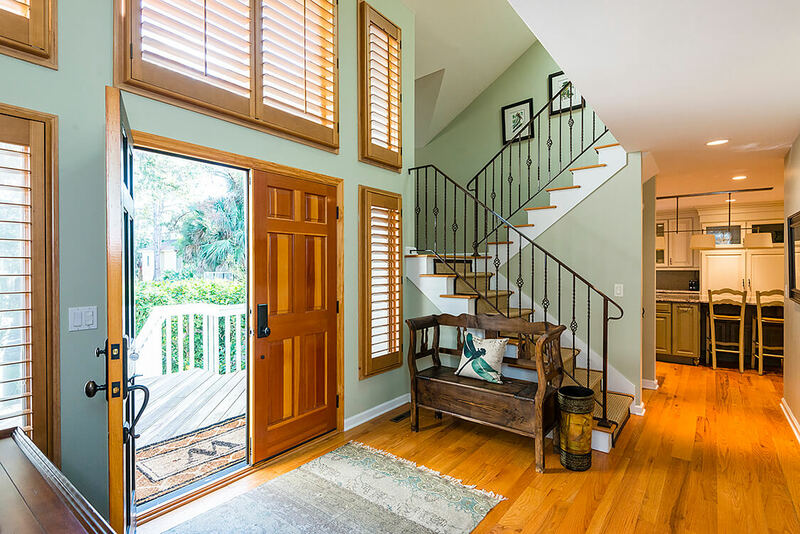 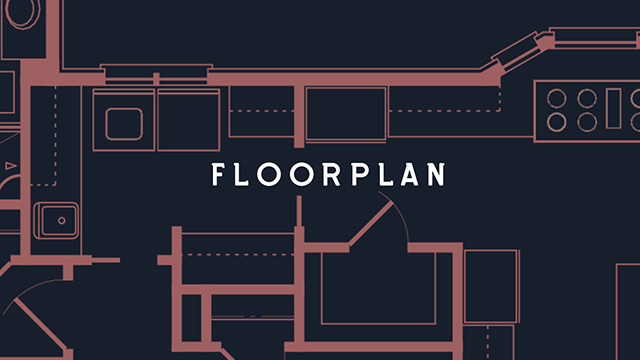 Take the home’s staircase to the second-floor gallery overlooking the foyer to access two more en suite bedrooms, one with private access to a bonus space set beneath the eaves. 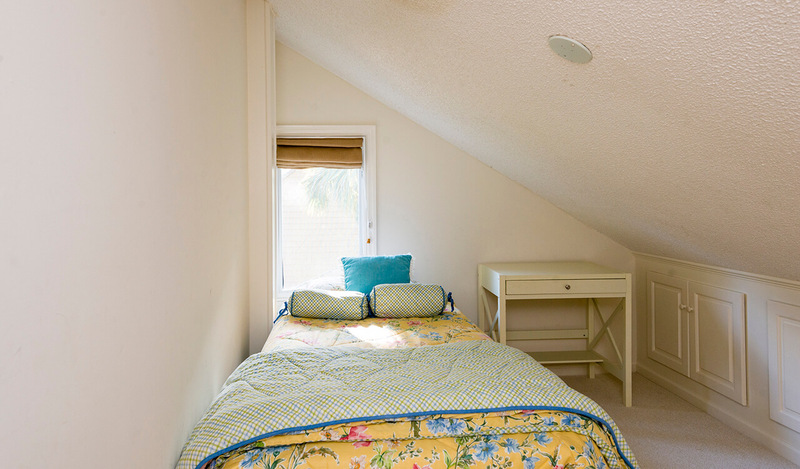 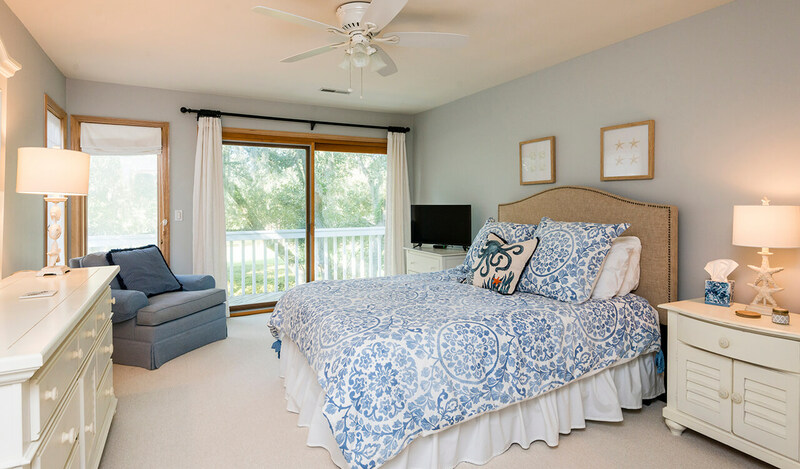 The bedrooms offer direct access to the second-floor porch overlooking the golf course, and the bonus space provides an additional bed for guests. 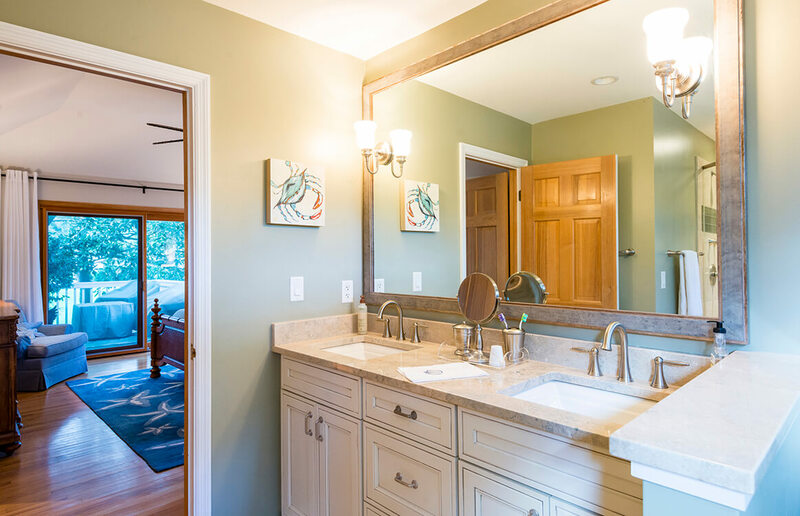 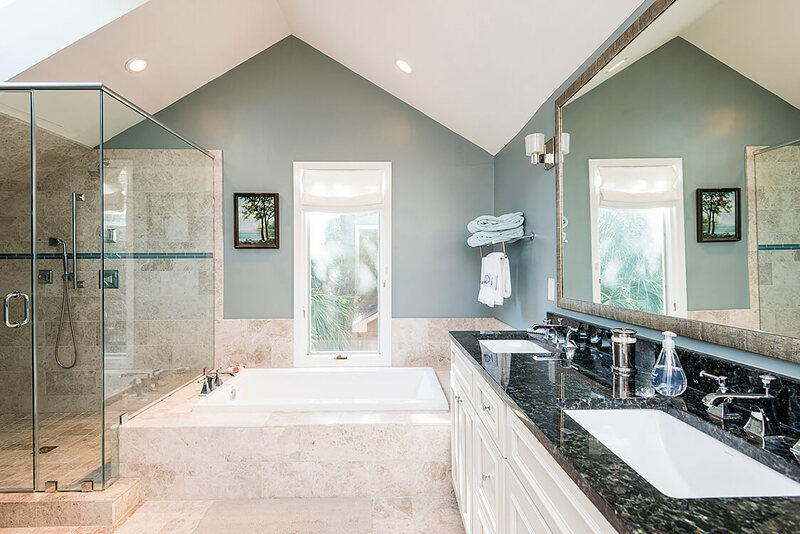 The first bedroom’s bath is spectacular with a vaulted ceiling, generously sized glass-framed walk-in shower with handheld showerhead, soaking tub set into spa-like tile, his-and-hers sinks set into a striking granite countertop, and a white vanity with plenty of storage space. 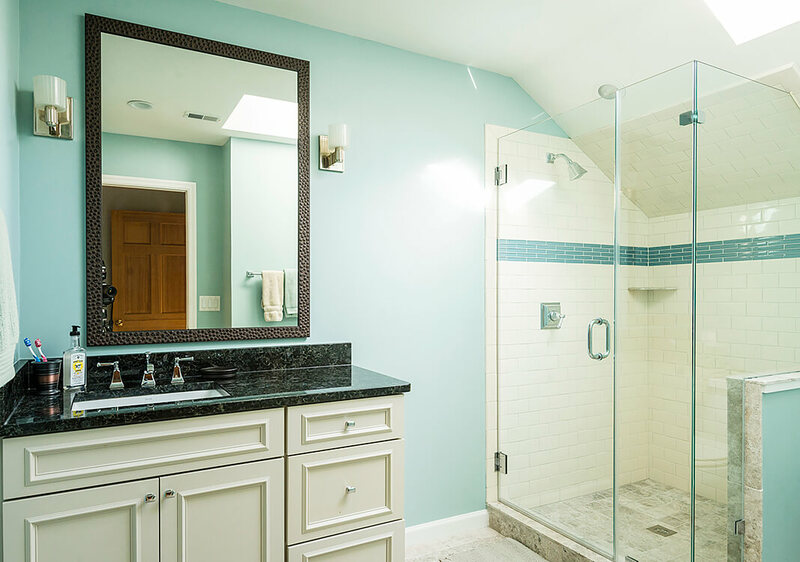 The second bedroom’s bath features a skylight and beautifully tiled, frameless-glass walk-in shower. 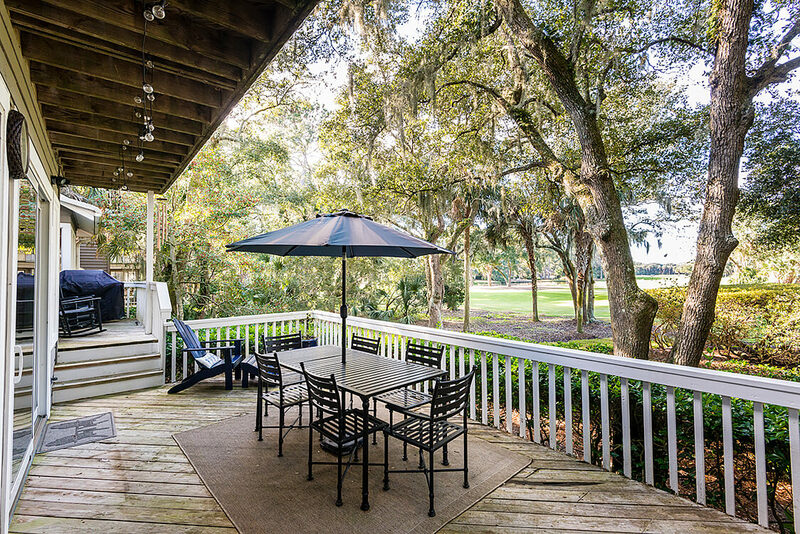 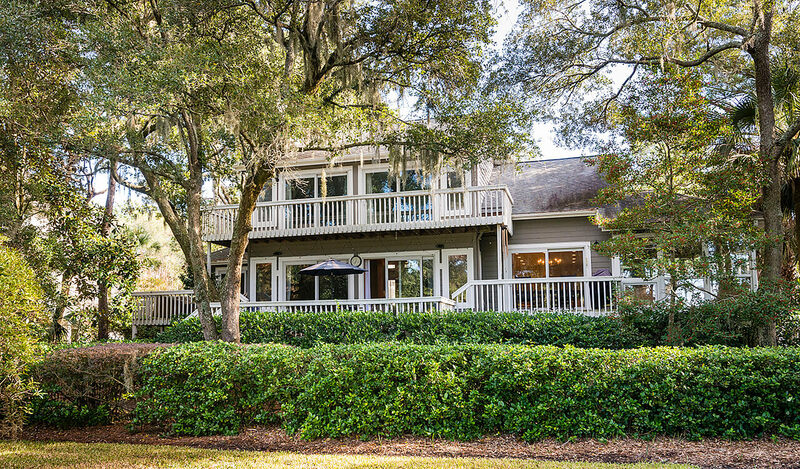 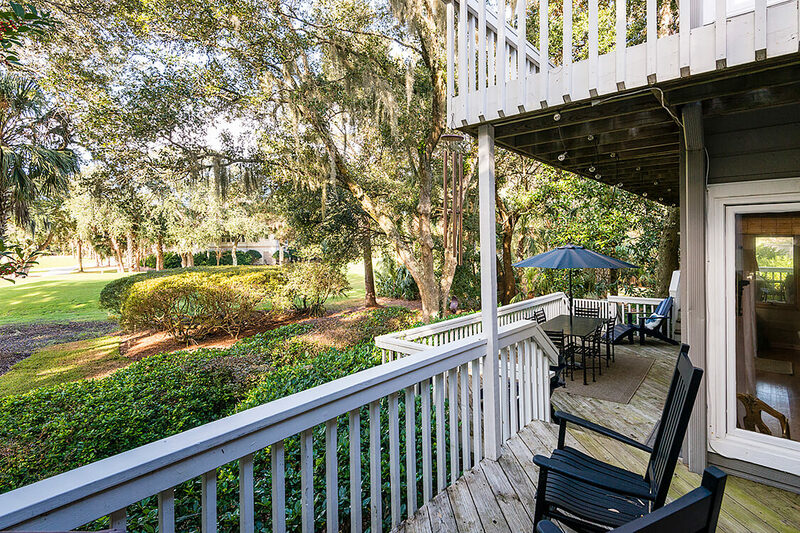 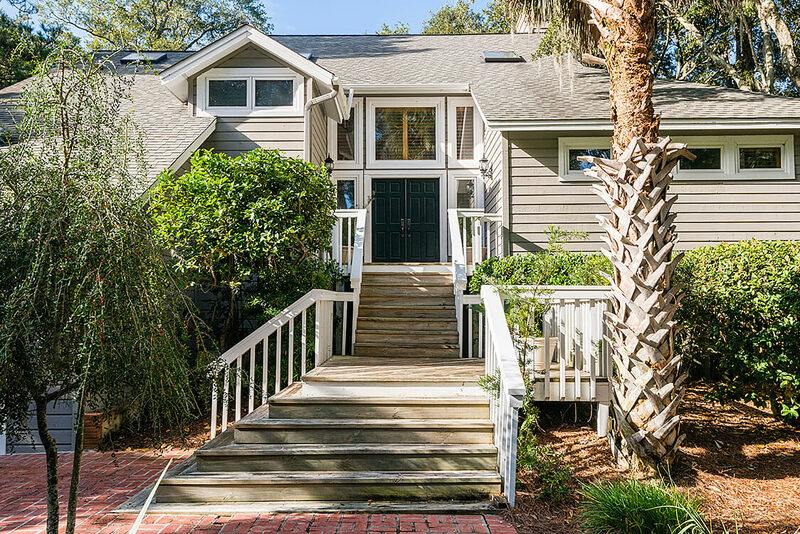 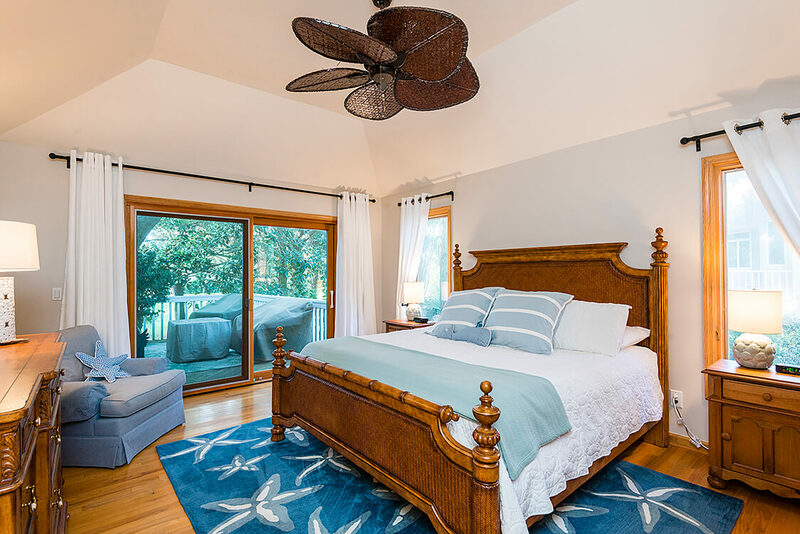 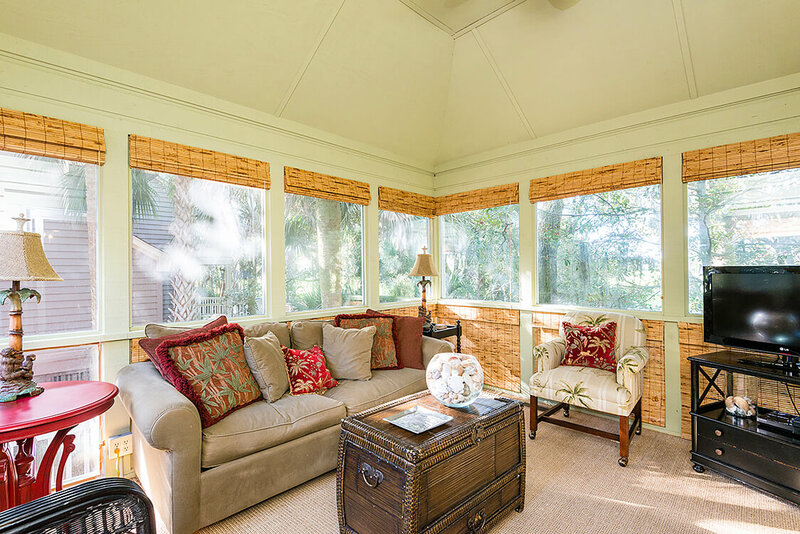 This fully furnished home, perfect as a primary or vacation home with plenty of indoor and outdoor space for entertaining family and friends, is located in Kiawah’s established Plantation Woods neighborhood behind the Island’s second security gate and comes with a tankless water heater.